ACROSS Afghanistan, insurgency-linked violence refuses to die down despite a renewed diplomatic push for a negotiated end to the conflict. With the senseless trail of death and destruction extending from Nangarhar to Badakhshan, hundreds of innocent civilians have lost their lives over the past few weeks. The fear of ordinary Afghans is reflected in children’s hesitation to walk to school. Public servants are equally concerned about their security in the wake of a spate of gun and bomb attacks on a number of government departments in Kabul, Jalalabad, Shiberghan and Faizabad. A soft target for militant groups, civilians have taken the brunt of the assaults that have occurred in quick succession. 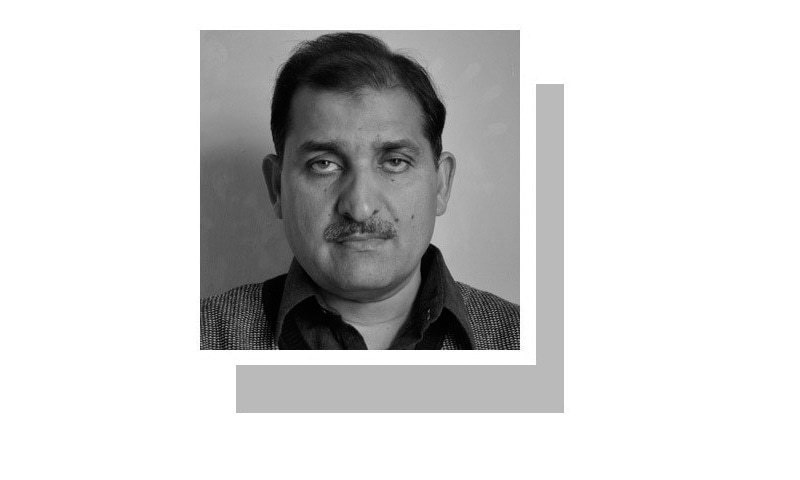 How grave the situation has become can be judged from the fact that the security of Jalalabad, bordering Pakistan’s chaotic tribal region of Khyber, had to be entrusted to the Afghan army. The decision exposes the provincial administration’s inability to rein in the militant Islamic State group and Afghan Taliban fighters, who seem intent on indiscriminate killings and wrecking the development infrastructure. On Friday, about 30 worshippers were massacred in a twin bomb attack on a Shia mosque in Gardez, the capital of the southeastern Paktia province. Although there was no immediate claim of responsibility, the bombings appear to be the handiwork of IS, which brands Shias as apostates. Like the Hindu and Sikh minorities, Afghan Shias have been the target of attacks from the extremist organisation. Civilians have taken the brunt of the assaults in Afghanistan. Many of Friday’s victims hailed from the Turi sub-tribe of the Karlani Pakhtun clan that straddles the Durand Line. Also living in Kurram, the Turis have been targeted in both countries by the Afghan and Pakistani Taliban, as well as Al Qaeda. Pakistan may have a long history of Shia-Sunni conflict, but sectarianism has more lately spread its tentacles in Afghanistan. Last year, 161 people were killed and 257 others wounded in targeted sectarian attacks on Shia places of worship in different parts of the country. In broad daylight, rebels barricaded busy highways leading to Kabul from the southeastern, northern and central provinces and abducted dozens of civilians last month. The militants’ modus operandi shows the total absence of security measures. On the issue of kidnappings, Afghan and Nato troops have behaved like mute spectators and appeared helpless. For all intents and purposes, the Afghan intelligence machinery is dysfunctional. Its failure to prevent terrorist strikes has raised many eyebrows. Rubbing salt into this wound, Nato troops have conveniently retreated from the vast countryside to major urban centres. To boot, they have urged their Afghan partners to take a page out of their book. This effectively amounts to leaving defenceless civilians to the mercy of terrorists. Reacting to the prospect of direct negotiations between the US and the Afghan Taliban on winding down the war, many Afghans are resentful of Kabul being left out of the loop. An eventual resolution, they reason, has to take place between the Afghan government and the Taliban. Unlike his predecessor, President Ashraf Ghani has been a more dependable ally of the US and should have been taken on board. Given the dismal outcome of Washington’s past contacts with the militants, one cannot be over-optimistic about the latest initiative. The world is acutely aware of the US derailing by design the Doha and Murree talks, which came about after a flurry of diplomatic efforts. The fate of the quadrilateral process was not much different. With this in mind, President Donald Trump’s new approach is seen as a high-risk diplomatic wager. If the outreach does not proceed as planned, the Taliban would further grow in strength on the battlefield. The guerrillas, who continue to fight resiliently even after the arrival of more foreign troops and toughened rules of military engagement, will remain entrenched in remote districts. Thus they will spell deeper trouble for the clueless Afghan security forces and citizens, who feel their country has become a hell on earth. Mr Trump knows full well the Americans, spending $45 billion a year on security and economic assistance for Afghanistan, cannot stay there. For this reason, he will have to prove his seriousness about talks with the Taliban and regional actors. Additionally, the Taliban have to be offered a reasonable power-sharing deal to renounce violence. America should not expect regional powers such as Pakistan, Russia and Iran — with whom its relations are far from normal — to help it out of the Afghan quagmire. Trump cannot woo Islamabad with massive aid cuts and Tehran with crippling sanctions. Both have stakes in Afghanistan and want their concerns to be addressed. Even today, after spending seventeen years to capture the whole of Afghanistan from the clutches of the Taliban and other groups, the U.S.A. is nowhere near its objective.